I do not have an iPad Pro 10.5 for review. I’m just not that well-heeled in the blogging community. Believe me I wish I did. But that’s ok, this isn’t that kind of review. The iPad Pro 10.5, which is the current champ of the drool-worthy heap, represents the latest attempt from Apple to kill the laptop. It’s an interesting move considering that Apple has made some of the most droolworthy laptops in history, starting with the Powerbook 100 and continuing on to today’s Macbooks, including the Air and Pro. Yet, both Apple’s tablets laptops have recently seemed a bit out of touch with a populace that’s grown more enamored of the Microsoft Surface Pro, with its ability to run nearly every Windows app ever. Mac laptops do not have touchscreens, which is beginning to make them seem a bit dated. 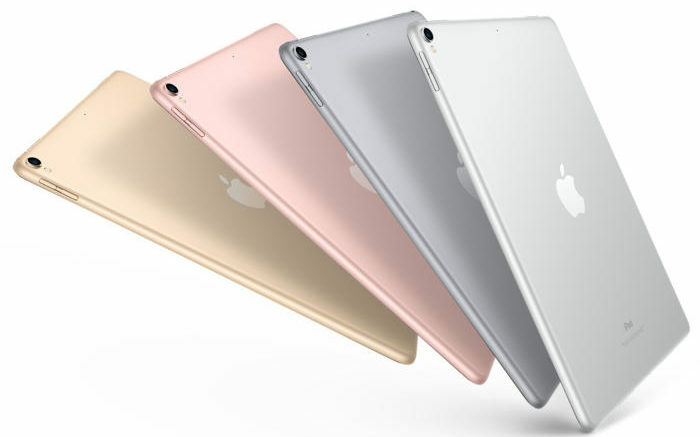 Apple has tried virtually every flavor of tablet in an attempt to recapture the (mostly unwarranted) frenzy that accompanied the original iPad in 2010. They’ve made it faster, they’ve made it smaller, and they’ve made it huge. They’ve given it a pen (which must have Steve Jobs rolling in his grave) and a keyboard case that evokes Microsoft’s. On the software side, they’ve given you the ability to run two apps at the same time (three with new software to come), made deals with Microsoft and Adobe that brought popular productivity apps to the device, and they even tried a bargain basement version. Nothing has stopped the decline of the iPad at the hands of Windows and Android competitors. And now, they’ve tried the iPad Pro 10.5. This iPad is understandably being hailed as “the best and most amazing iPad, the Mary Poppins of iPads, practically perfect in every way.” Not that you should be surprised; do a little research and you’ll find the same praise heaped on every single one of its predecessors. What makes this one different? The 10.5″ screen provides about the same viewing experience as a 13″ widescreen laptop. It’s only .7″ larger than the previous version, but if you listen to the people who have played with it, that little difference really helps. It also follows the current trend of doing away with bezels. No one cared about the massive black humps at the top and bottom of the first iPhone, but since then there has been a race to see who can give you a truly edge-to-edge screen experience. iPads had large bezels, it was said, because it gave people a place to hold onto the device. Apparently people no longer need to do that, since they’ve shrunk practically to nothing on the new iPad Pro 10.5. Of course, Apple already had a “bigger” iPad Pro, but it’s just too big, or putting it a different way, there’s no reason it’s so big. It truly acts identical to the smaller one, all you get is a larger experience. There’s no good use for that real estate. That’s why people are saying the 10.5 is the perfect size, because it still uses the same experience as the old iPad Pro 9.7 but everything is a little more legible. It also allows the keyboard case to be a little closer to the size of a normal keyboard. Pretty much every reviewer who has actually had the thing in his or her hand will tell you that it’s overkill for iOS 10, and that only with iOS 11 will it genuinely shine. That’s probably true, too, since iOS 10 will run quite happily on 4-year-old hardware that’s only about 1/10th as powerful as the new iPad Pro. The real story, though, at least in my mind, is that if you trick it out right, this iPad will set you back over $1,000. It’s not the first iPad to cross that mark but it might be the first one that deserves to. The larger, 12″ iPad Pro can be configured in a way that would set you back almost $1,300 but as I said there’s no real reason for something that big. This might be the first time you feel like paying a grand for a tablet is worth it. And that’s huge for Apple who wants to keep being a premium player. While it’s occasionally dug around in the bargain basement, its real strength is convincing people to pay for hardware that they can get cheaper from someone else. They do that with excellent software and support, high quality of fit and finish, and (very rarely) by rolling out new features that no one else has. Apple needs to convince you that its products are worth the money. With a new iPhone on the horizon that could also break the $1k barrier, Apple wants you to feel like you’re spending your money wisely. Apple is under siege by other companies in a way it hasn’t been since the mid-1990s, when Steve Jobs returned to resurrect the nearly-dead company. Today you can buy a competent, possibly even superior device from Microsoft, Samsung, LG, Acer, Asus, and others, and Apple knows it can’t really compete in a pluralistic market like that. They need products that are so desirable that you just wouldn’t think of the competition. That’s why the iPad Pro 10.5 is so important. In fact, the entire mobile device industry really needs iPad Pro 10.5 to be a hit. Microsoft’s Surface Pro did what Acer, HP and others couldn’t — it gave people a reason to spend more than $600 on a laptop. The PC market has been in free fall for years, and it’s now possible to pay $400 for a laptop that would have set you back $4,000 a decade ago. That’s not new. The problem is that the market for really high-end laptops dried up for a while. There are gaming rigs, but business people just stopped needing expensive hardware and that’s bad news for the computer industry. The only reason today’s $400 laptops are so cheap is that people actually did pay $4,000 for the same technology at one point. The PC industry needs more iPad Pro 10.5s and Surface Pros and other high-end hardware so that it can keep evolving. It needs to create that top-end demand to keep the entire industry healthy. I personally don’t know if the iPad Pro 10.5 is really that much better than my iPad Air, if it’s really worth making the change. But I’m one person. If the whole world thinks it is, that’s a win. If not, there’s trouble ahead. Is this the “Golden Age” of wireless?